CSDO have provided earning opportunity to thousands of desperate students. Just register for the candle making classes and see how you will develop skills to set up candle manufacturing business at you home without investing much capital. The classes here are clear and knowledgeable that has emerged as the most fruitful career option over the traditional courses in India. You will learn various candles making process with a complete guide to set up a business and you will get the full support from CSDO. 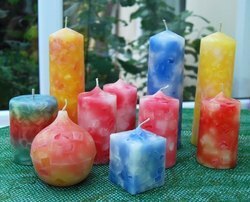 After learning candle making course from CSDO you can start your venture with great confidence. Candle making is one of the beautiful ventures that you can step into! Home decor has been an essential part of our lives especially in 21st century.Over a decade it has been observed that people have changed their choices from simple to fancy, from ordinary to extra ordinary, from synthetic to handmade and natural. If you are keen lover of candles and had curiosity to learn on how actually Candles are made then this is the course only for you. 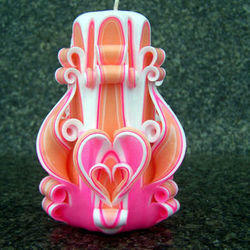 It will give you the basic understanding and will inspire you to become more creative with Candle making. Different temperature and how impact of the temperature affects your Candle texture. How to decide and choose right kind of the pouring equipment. Necessary equipment to start business. 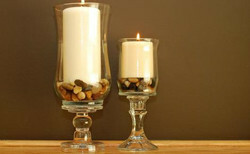 Also after covering this syllabus we will move towards practical making of candles which will describe you procedures. Floating candle: How to select the right kind of mould to make a perfect floating candle, shaded floating candles, packing of the floating candle. Looking for PROFESSIONAL CANDLE MAKING CLASSES ?